Bjelasnica mountain is the perfect place for a winter adventure and where better to start than Sarajevo, the host city of the 1984 Winter Olympic. 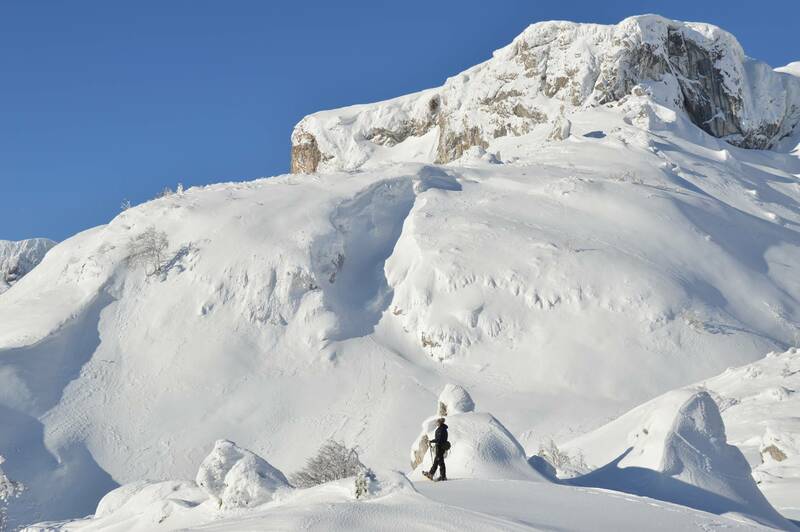 The wild and remote mountain ranges surrounding Bosnia’s capital are ideal for adventurous exploration. Climbing through pine forests we follow crystal-clear streams to snow-covered summits. 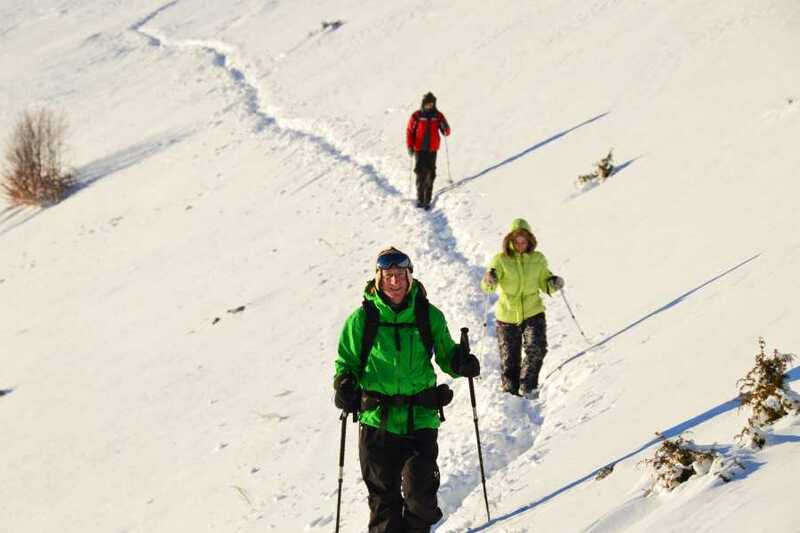 This will be an unforgettable snowshoeing weekend. 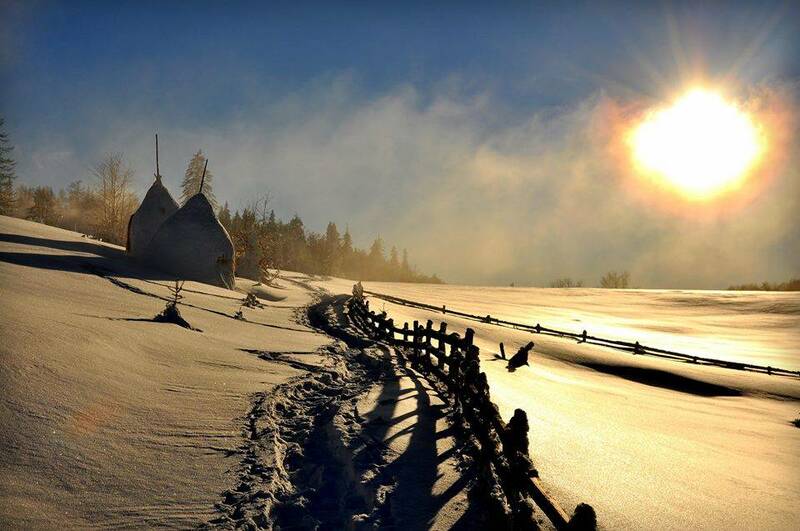 We will start the day with morning transfer of 1 hour to Umoljani Village on the Olympic mountain of Bjelasnica. From the traditional style Bosnian village of Umoljani we’ll trek to the watermills and beautiful source used for centuries as energy to grind wheat into flour. We hug the ridge until Rakitnica Canyon opens up before us. 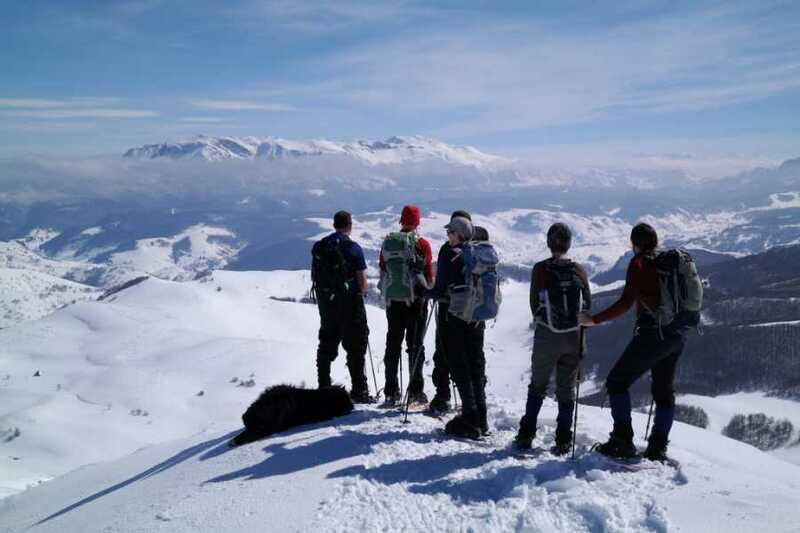 After 45 minutes of an uphill through thick snow, we reach the Cascades of Studeni Potok. Here, at certain times of the year, the stream falls in numerous cascades into Rakitnica River, more than 300 meters below. Following the stream up we hit Studeno Polje (Field) and the serpentine formations of Studeni Potok (Stream). Here we’ll have a super view of Obalj and the long flat valley of Studeno Polje (Fields). At this point, we can decide if we want to ascend peak Saruk (1,828m), from where we’ll have even better views of surrounding peaks and Studeni potok valley. The shepherd’s summer village of Gradina is just up the road and from here we will slowly ascend today’s peak, Saruk (1,828m) where we will take our lunch break. From here we will return through the “back door” to Umoljani Village for a well deserved welcome homemade dinner. On the second day, winding through Bjelasnica’s back roads we’ll reach the Rakitnica River and cross over towards Visocica Mountain. Tucked in the hills just above the ridged walls of this mountain sits Sinanovici Village (1,250m). 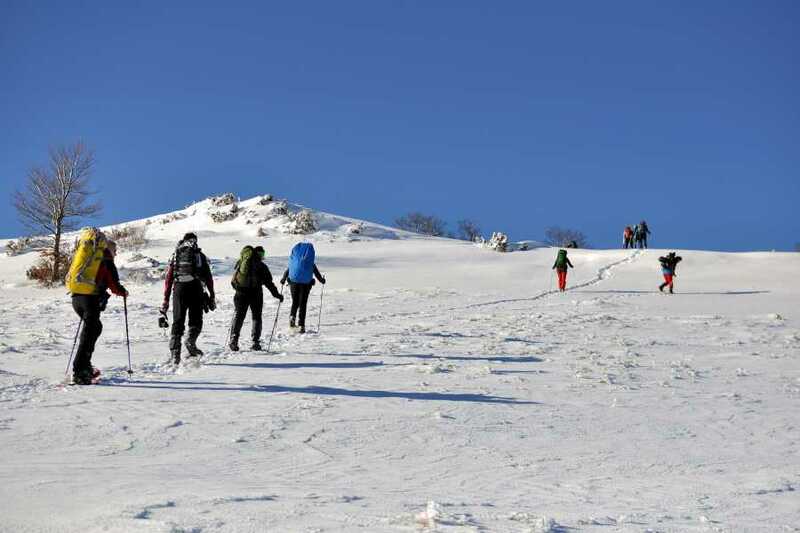 The walk up will take us through beech forest and then open rocky terrain up to the summit of Crveni Kuk Peak (1,733m). You will be rewarded with far reaching views of the highest mountains in Bosnia & Herzegovina, as well as those in neighboring Montenegro. From the summit, there are wonderful views of the surrounding villages, as well as mountains of Maglić, Volujak, Zelengora in Sutjeska National Park, Lelija, Treskavica, and Prenj. What is included: Transportation during entire trip with 8+1 MiniVan; Fully equipped English speaking Tour Leader/Guide; Accommodation for 1 night; All meals as specified in itinerary; Coffee or tea during the hikes; Pair of snowshoes, walking poles and gaiters. What is not included: Optional tipping to leader, guides and local staff; Souvenirs and items of a personal nature (sodas, alcoholic beverages, laundry, etc. ); Any items not specifically mentioned in the program. What to bring: Hiking boots, day pack, 1 liter of water, winter gear, hat, gloves, sunglasses, sunblock, a dry t-shirt/fleece, and a camera.